The LI Ultra-Shallow Under-Cabinet Light is available in 12”, 21”, 22”, 24”, 33”, 34”, 42” and 46” lengths. 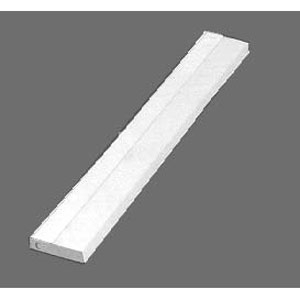 The unit has an ultra-thin profile, specification grade under cabinet fixture. Offers efficient on-task illumination in areas obscured from overhead lighting. For individual or continuous row mounting. One-piece unitized wireway contains all electrical components. Keyhole slots for ease of installation. Special 5/8” connector supplied to facilitate wiring. 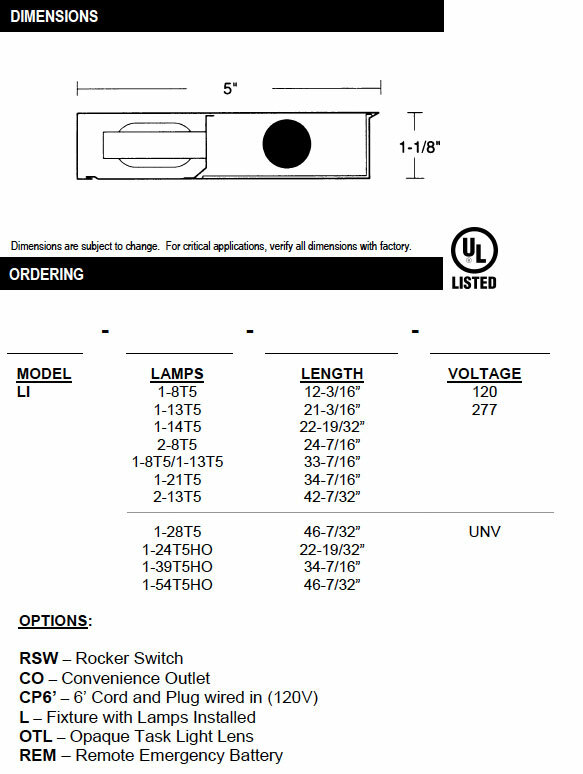 Optional rocker switch, convenience outlet and cord and plug to meet any mounting requirement. Die-formed heavy gauged steel. Housing and ends are one piece. Snap-in ribbed opal lens for soft pleasing light is standard. Optional task lighting lens with opaque front and ribbed bottom. Standard finish is baked white enamel. Optional finishes are oak, walnut, and chrome. Interior reflecting surfaces are baked white enamel with a minimum 89% reflectance.